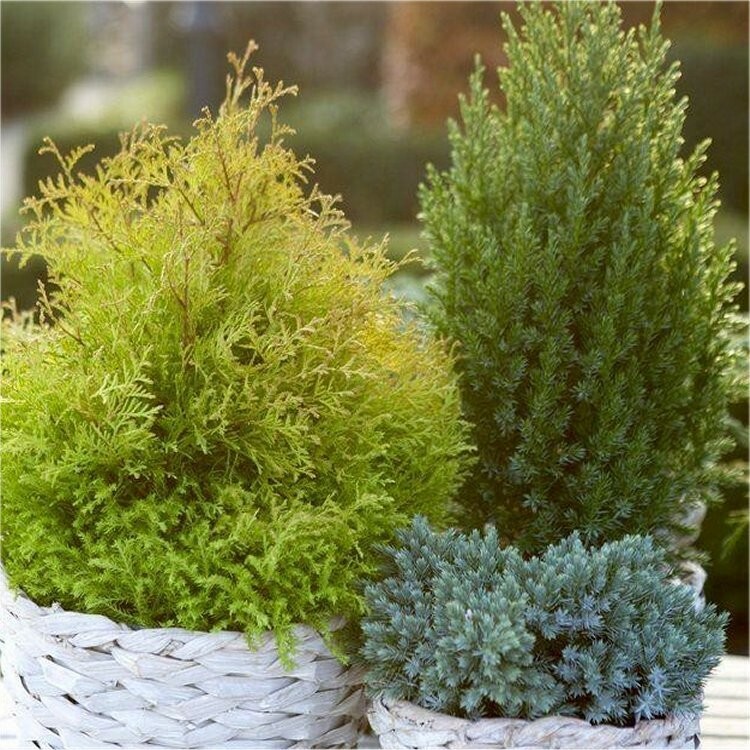 Our collection contains a trio of the best and most popular varieties of dwarf evergreen and low growing conifer varieties available. It includes as pictured, low growing and spreading Juniperus Blue Star with silver-blue foliage, and the taller blue-green Juniperus stricta. The trio is completed by Thuja Rheingold with soft gold foliage that developes bronze highlights depending on the weather. The tallest of the varieties that will reach a maximum of 1. 5metre in 10 years. This carefully matched selection of colours and textures look superb when planted together, or mixed with other plants. Why not try as pictured grown in individual baskets and positioned on a patio of terrace as a ground? Supplied as strong plants in approx 1.5 litre containers.